Sea kayaking trip arond Bray head. 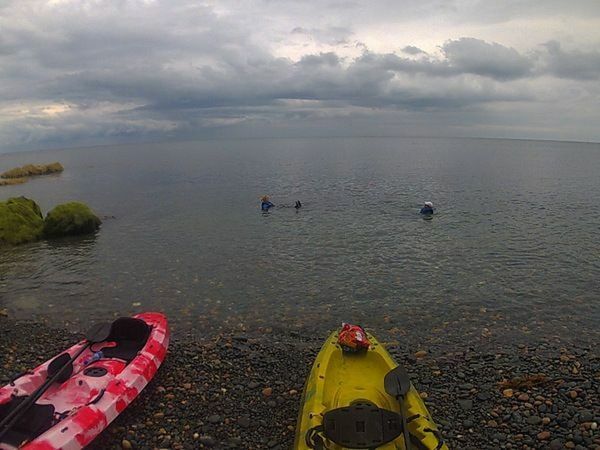 Come and join us for a fun Kayaking trip around the coastline from Bray towards Greystones. 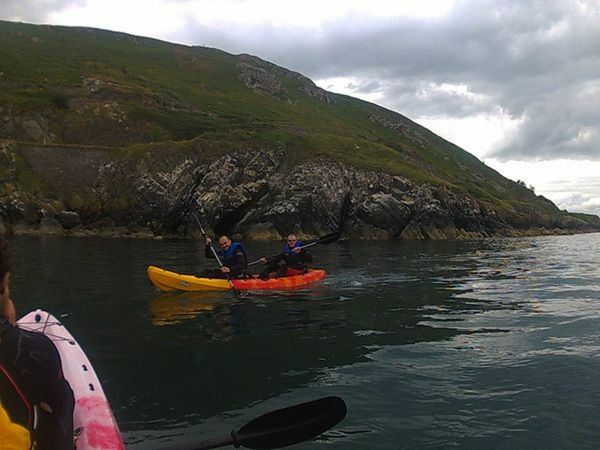 We Kayak along the coastline from Bray beach Heading out around the cliffs south towards Greystones. We usually see plenty of cormerants, sea gulls and other sea birds on the Cliffs, and hopefully some seals offer opportunities for some unusual photos. We stop on a small beach area in the base of the cliffs for some refreshments before kayaking back towards Bray. 2. 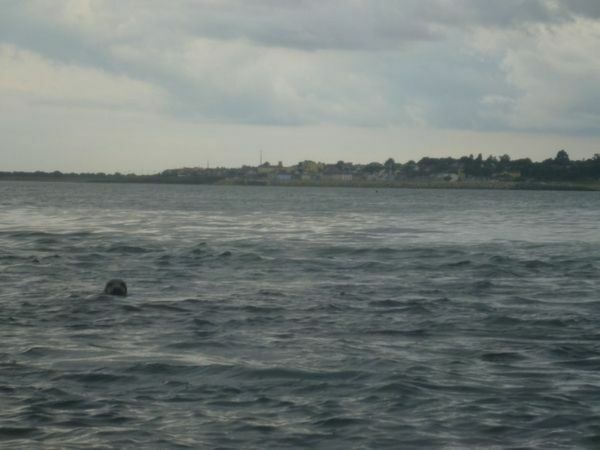 The trip follows the coastline below the train line to wexford and just below the famous cliff walk to Greystones. For those of you who have done this walk it gives a completely different view of the cliffs from below. The train enters a mile long tunnel through a Hill before exiting out the far side amongst some farm land just outside Greystones. This rail line has had to be moved several times due to coastal erosion and the risk of it collapsing into the sea. Bray is a coastal town which used to be a holiday destination for the wealthy families coming out in the summer from the city. The prom is a famous landmark in the town and has just been refurbished in the last few years back to its original form, with seating most of the length of it. There are some nice pubs on the seafront with beer gardens for a coffee or beer after the trip. If you are not driving then you can take the dart from City Centre to Bray dart station then follow the Strand road towards Bray Beach in the direction of Bray head. You will see a white van with the name EXTREME TIME-OFF written on it.